Aim: The aim of this study is to describe and compare different ultra-sonication protocols used for microbial and candidal sampling, and then test their diagnostic accuracy when correlating microbial loads with a visual plaque score. Methodology: Dentures of consenting subjects were stained and baseline plaque-scores recorded for the fitting and polished surfaces separately. Upper and lower Dentures were sonicated separately in 200ml distilled-sterile water using one of the following methods (n=10 each): G1: a continuous 30-minutes sonication (Cnt 30 min) cycle, G2: 6 intermittent cycles, (Int 5 min) cycles. G3: a (Cnt 10 min) cycle then 4 (Int 5 min) cycles, G4: a continuous (Cnt 15 min) cycle then 3 (Int 5 min) cycles. G5: a continuous (Cnt 10 min) cycle, then a soaking step (Sk 10 min) then 2 (Int 5 min) cycles. Microbial samples were collected regularly - every 5 minutes- and cultured on two media (Candida selective and non-selective media). Results: G1: The microbial load on non-selective agar began to rise till the third sampling point, then gradually declined with continuous ultrasonications (p>0.05). G2: The microbial load was significantly high in the first then second (Int 5 min) cycles (56.00 ± SE 21.21 @ 5 min, 22.40 ± SE 7.43 @ Int 10 min) (p<0.05). Then it gradually declined in intermittent cycles (p>0.05). G3: The first cycle produced highest numbers (67.40 ± SE 29.02 @ Cnt 10 min) (p<0.05) then gradually decreased in intermittent cycles (p>0.05) till zero. G4: The microbial load was high at the first 15 minute cycle (90.20 ± SE 26.72 @ Cnt 15 min) (p<0.05), then sharply decreased in intermittent cycles (p>0.05) till zero. G5: Was similar to G3 till minute 20. The soaking step was contaminated microbiologically, although no ultrasonication was applied (23.8 ± SE 17.03 @ Sk 10 min). Only the continuous 10-minutes ultrasonication protocols (in Gs 1,2 and 5) had their microbial and candidal counts, on both media, correlate significantly with baseline plaque-scores of the denture as a whole and with each surface separately (Wilcoxon’s Signed Ranks Test, p<0.05). Caring for the dentures, after their delivery, poses a challenge for the dentists, the denture wearers and their caregivers. Removing, or at least controlling, plaque accumulations is a main recommendation. They must not leave it to accumulate by poor denture hygiene and may not wear the dentures at night [1,2]. The denture itself should be designed with a surface-quality that is not rough, favorably not relined, ill-fitted, or made of cold cured acrylic . The risk comes from the potential of the denture-plaque becoming pathogenic. Candida, Streptococcus, Lactobacillus, Bacteroides and Actinomyces reside in the maturing (long standing) plaque and becomes organized in a complex biofilm structure . This may cause denture stomatitis, oral candidosis, gastrointestinal and pneumopulmonary candidosis [5,6]. Denture hygiene procedures and disinfectant materials reduce this potential . Ultrasonication, to a lesser degree, is recommended for denture care . Ultrasonication is a wave of mechanical energy that locally vibrates with no net transport of particles. It is applied by electric devices, which contain a tub. Liquid is used to conduct the energy to any object soaked in it. This energy results in sequential compression, and rarefaction on the surface of the object leading to an action of Cavitation; a combination of pressure, temperature and shear. Solid materials are not affected but loosely attached plaque, stains, and calculus shed off the solid surfaces, to which they adhere. The frequency of the waves, determine their application and depth of effect [9,10]. Ultrasonic tips can also be used to apply this energy . SEM demonstrated the reductions of surface contaminants as calculus and stains along with the plaque-biofilm while causing the least abrasions in comparison with other hand held instruments . The combination of disinfectants with ultrasonication had better results on denture biofilm than disinfectants alone [12-14]. Microbes that shed into the surrounding fluid can be sampled. This is easier and less subjective than surface swabs or denture material retrieval, sectioning, and then culturing . Studies, which focused on the denture stomatitis cases, found that sampling from sonication fluids is accurate, sensitive, and increases the possibility of diagnosing patients with Candida-associated lesions . Research that studied denture plaque reported multiple ultrasonication protocols. There seems to be no consensus on the method of application, period, cycling for intermittent or continuous periods, nor its use with a soaking cycle. Protocols had not included correlations of the sampled microbial loads, with visible denture-surface plaque-scores. Furthermore, to our knowledge, there has not been a report comparing multiple ultrasonication protocols amongst each other. Many papers had proposed visual or digital scoring systems for plaque quantification. These reports calculated variances, time requirement, inter-examiner repeatability and reliability. However, none had attempted to correlate their scoring system with the actual numbers of microbial loads on the denture, and more importantly, the specific candidal load, which holds the pathogenic potential of denture plaque [17,18]. Some didn’t use disclosing agents to stain plaque  and some confined their scoring systems to the maxillary denture alone, or more specifically, the fitting surface of the upper denture [20,21]. The aim of this study is to describe and compare different ultra-sonication protocols used for microbial and candidal sampling, and then test their diagnostic accuracy when correlating microbial loads with a visual plaque score. The grant (No. 177/2007) and ethical approvals was provided in Jordan University of Science and Technology. The study was independently reviewed and approved by the Research Committee, (Deanship of research) and the Institutional Research Board (IRB), (Faculty of Medicine). Microbiological processing of collected samples was performed in the Microbiology lab, Health Center, Jordan University of Science and Technology. Patients, who attended the Prosthodontic clinic at the Dental teaching health center, were assessed for eligibility. They were included if dentures were worn for at least three months, and the patient had not participated in any other study in the last 6 months. Informed Consents were obtained. Thirty consenting subjects wearing upper or/and lower dentures participated in the study (average age 64 ± 7.4 years, 20 males, 10 females) sample numbers were selected similar to another study . A 0.2% red fuchsine was used to stain dentures  (Dental disclosing solution, Butler). The stain was sprayed on the denture surface until it flooded and then left for two minutes. Each surface was stained separately, then washed with a gentle flow of 20 ml distilled sterile water by a syringe. Red stain was chosen as it produces the best contrast with the dentures pink color and was used in multiple studies. It increases the visual acuity and proved to give the lowest inter-examiner variance . The spray method was chosen as the researcher found that painting the stain on the surface using a swab or cotton roll disrupted the biofilm layer, thus would affect plaque scores. Two minutes were suitable to allow the stain to diffuse in deeper plaque layers, thus it would be retained in the later washing step. Washing the stain with tab water exerted extra pressure from the strong stream of running water. This, once more, was affecting the plaque score. So it was substituted using the gentle flow of a sufficient amount of sterile water applied by a syringe. Plaque accumulation was scored separately for each of the denture’s fitting or polished surfaces by a calibrated examiner. Each surface was divided as regions: right (dental/crest area), anterior (dental/crest area), left (dental/crest area) and palatal regions (in upper denture only). Plaque scores were determined by the following criteria. 4: generalized accumulation of plaque over the entire surface even if some scattered clear spots were present. The total number of scores was 6 for the lower dentures, and 8 for the upper dentures. The general plaque score for each denture was presented as an average score per each surface, then per denture. This score system is more convenient because it has distinct visual cut-off points. These are practical, clinically relevant, easily interpreted, and universal to many study designs. The scoring system is a modification of a previous protocol, which uses different interpretations for the same number of scores . The score also divides the denture regions, which have comparable topographic features. It is easier than the strenuous 6-10 regions score systems , and is less technique demanding than the digital scores of computerized systems which also proved to be complicated and time consuming , Furthermore, Researchers and caregivers can apply it conveniently. Simpler scoring systems, using a three score value to represent whole denture, would pose a problem because different regions have various topographical features which contributes differently to the bacterial loads . Each of the separated dentures was put in a glass beaker (200ml distilled-sterile water) in the ultrasonication tub  (35 kHz, BANDELIN electronic GmbH and Co. KG, Germany) that contained ice-cooled water, to eliminate over heating around the two beakers. Timers automatically controlled the ultrasonication periods and both dentures originating from a single patient were subject to the same test protocols. The total cycles’ periods were designed based on convenience, as it is expected that care-givers or researchers would prefer short periods, that are less than 30 minutes. Ultrasonication protocols (n=10 samples each): G1: Beakers were ultrasonicated separately and continuously until the end of 30 minutes. Samples (0.1 ml) were taken when the ultrasonication device was interrupted every 5 minutes. The fluid was not changed and kept during the 6 sampling points. G2: Beakers were ultrasonicated in 6 sequential 5 minute cycles till the total of 30 minutes. Microbiology samples were collected from each fluid after the interruption of the cycle and after sampling the fluid was discarded. Six samples were collected. G3: Beakers were ultrasonicated continuously for the first 10 minutes, then changed in the subsequent cycles. Five samples were collected. G4: Beakers were ultrasonicated continuously for the first 15 minutes, then changed in the subsequent cycles. Four samples were collected. G5: Beakers were ultrasonicated for the first 10 minutes. The pair of dentures were joined and soaking period of 10 minutes was done. Then dentures were re-separated into new beakers for 2 new intermittent cycles of 5-minutes. A microbial sample was collected from each ultrasonication and soaking fluid before discarding it. Four samples were collected. Five subjects (10 upper and lower dentures) were recruited in each protocol sequentially and were blinded to the test protocols. The microbiological analyzer was blinded from the study protocols and sample numbers were used as identifiers. Sample numbers and protocol assignments were matched at the final analytical phase by the main researcher (LA). Samples were a collection of 0.1ml of the fluid in beakers. It was and placed in 0.9 ml Phosphate Buffered Saline (PBS, 1%) in eppendorf tubes then diluted (10-3). 100 µl were taken and cultured, using a sterile L-shaped glass rod, on selective and non-selective media, that was prepared as instructed. Sabouraud Dextrose Agar  (S.D.A, GCC diagnostics, Gainland Chemical co, pH 5.6) is selective for fungi species, as Candida, and Nutrient Agar (N.A, GCC diagnostics, pH 7.2) is an enrichment non-selective media which produces total viable microbial counts. Plates were incubated at 37 degrees for the recommended times (96,48 h respectively), under aerobic conditions in an ordinary incubator (J.P.Selecta, S.A. SPAIN). The Colony-Forming Units per milliliter (CFU/ml) were calculated. Any number over 300 was considered as uncountable and then a representative CFU of 300 was used for the calculations. The microbiological analyzer was blinded to the study protocols and sample numbers were used as identifiers. Primary outcomes were the differences of the mean CFUs of samples, counted over selective and non-selective media for each protocol. Means were compared using ANOVA, and Post Hoc Tukey’s HSD. Non-parametric Wilcoxon’s signed ranks test was used to correlate the mean CFU of total microbial counts and candidal counts with the average plaque scores at baseline. All statistical tests were two sided and the threshold of significance used was 0.05. All tests were done using the SPSS v 17 software. CFU (colony forming units) grown on the non-selective media (nutrient agar) began at (47.90 ± SE 23.65 @ 5 min). Subsequent numbers raised steadily, reaching 15 minutes (126.80 ± SE 50.56 @ Cnt 30 min). Then the numbers gradually declined till the last sample collected at 30 minutes (25.80 ± SE 9.93 @ Cnt 30 min) (Figure 1). Reasons for this reduction of free-floating micro-organisms were anticipated. It was unclear if still, there were more microbial loads shed into the solution in the declining phase after 15 minutes. This led to protocol 2 where the water was changed every 5 minutes. Figure 1: Mean viable microbial CFU counts on Nutrient agar for protocol no.1. CFUs on non-selective media began at (56.00 ± SE 21.21 @ 5 min) (ANOVA, p<0.05). The number was less than one half in the second 5 minutes cycle (ANOVA, p<0.05). Numbers declined gradually in each subsequent cycle. (22.40 ± SE 7.43 @ Int 10 min, 8.50 ± SE 2.99 @ Int 15 min, 0.90 ± SE 0.60 @ Int 30 min) in the intermittent cycles (Figure 2). This revealed that the shedding of microbials into the solution was still ongoing till the 30 minute cycle and the first two cycles had produced the highest numbers. Figure 2: Mean viable microbial CFU counts on Nutrient agar for protocol no.2. Continuous 10 minutes ultrasonication produced the CFU means in non-selective media (67.40 ± SE 29.02 @ Cnt 10 min) (ANOVA, p<0.05). The number was around one third in the second cycle (ANOVA, p<0.05). Numbers gradually declined in the subsequent intermittent cycles till reaching a zero (23.00 ± SE 14.58 @ Int 15 min, 2.80 ± SE 1.29 @ Int 20 min, 0.00 ± SE0.00 @ Int 30 min,) (Figure 3). Figure 3: Mean viable microbial CFU counts on Nutrient agar for protocol no.3. Mean CFU in non-selective media began at 90.20 ± SE 26.72 @ Cnt 30 min (ANOVA, p<0.05). The number was around one sixth in the second 5 minutes cycle (16.40 ± SE 7.89 @ Int 20 min) (ANOVA, p<0.05). From then, a sudden decrease in the number of CFU declined reaching zero (0.00 ± SE 0.00 @ Int 30 min) at the last cycle (Figure 4). Figure 4: Mean viable microbial CFU counts on Nutrient agar for protocol no.4. (Note: there was no 5 and 10 minutes cycles). The fifth protocol was to study the effect of a soaking step in between ultrasonication cycles. Mean CFU in non-selective media began at 127.80 ± SE 34.62 @ Cnt 10 min) (ANOVA, p<0.05). The soaking step between first and second ultrasonications, was contaminated microbiologically, although no ultrasonication was applied (23.8 ± SE 17.03 @ Sk 10 min). After the soaking period, a 5 minutes ultrasonication cycle was made. Soaking didn’t alter the amount of microbial counts which were shed at the next ultrasonication cycles as less than half of the CFU and then around another half were shed in these two cycles (52.90 ± SE13.79 @ Int 15 min, 32.80 ± SE13.40 @ Int 20 min) (Figure 5). Figure 5: Mean viable microbial CFU counts on Nutrient agar for protocol no.5. The continuous 5 minutes cycles in protocols 1 and 2: G1 and 2 had samples collected after a continuous cycle for 5 minutes (cont @ 5 min). There was no difference in the mean CFUs between 1 and 2 (ANOVA, p>0.05). CFU numbers on nutrient agar correlated with the average baseline plaque scores of the denture and with separate fitting/polished surfaces’ plaque scores (p<0.05). However it didn’t correlate with candidal CFUs on Sabouraud dextrose agar (p>0.05) (Wilcoxon’s signed ranks test). The first intermittent sonication for 5 minutes shed a significantly higher number of microbes than any other intermittent cycle (ANOVA, p<0.05). (Figure 6). Figure 6: Mean viable microbial CFU counts on both Nutrient agar and Sabouraud agar for Protocol 1 and 3 compared. The continuous 10 minutes cycles in protocols 1,3 and 5: Groups 1,3 and 5 had a sample collected after cont @ 10 min. While protocol 2 had the water changed between the two subsequent 5-minutes cycles, thus excluded from the following analysis. Comparing continuous with intermittent cycles, the mean CFUs for G 2 was not different than G1 and 3 but lower than G5 (Tukey’s HSD, p<0.05). Comparing cumulative cycles amongst each other, there was a trend, but not significant, of higher mean CFU of G5 in comparison with G1 and G2 on nutrient agar. While G5 had significantly higher CFU counts on Sabouraud agar than 1 and 3 (Tukey’s HSD, p<0.05). For G1 and 3 and 5 (cont @ 10 min, n=30), the mean CFU counts on both agar media correlated significantly with average plaque scores on dentures. They also correlated with separate plaque scores on fitting and polished surfaces (Wilcoxon’s signed ranks test, p<0.05) (Tables 1 and 2). Table 1: Wilcoxon’s Signed Ranks Test for protocols 1,3 and 5. Results displayed for the total microbial CFU counts correlated with the dentures plaque average on the fitting surface (ddplqavf), then the polished surface (ddplqavp), and then the average total score of the whole denture (ddplqav). Table 2: Wilcoxon’s Signed Ranks Test for protocols 1,3 and 5. Results for the candidal CFU counts correlated with the dentures plaque average on the fitting surface (ddplqavf), then the polished surface (ddplqavp), then the average total score of the whole denture (ddplqav). The continuous 15 minutes cycles in protocols 1 and 4: G1 and 4 had samples collected after cont @ 15 min. While G 2,3 and 5 had the water changed in the last 5 minutes cycle. No significant difference was present between mean CFU of G1 and 4 (ANOVA, p>0.05). And no significant difference was present between G 2,3 and 3,5 on all media except for between G 2,5 in nutrient agar (Tukey’s HSD, p<0.05). Comparing continuous with intermittent cycles, the difference in mean CFU were significantly higher in continuous cycles than intermittent cycles on Nutrient agar CFUs (ANOVA p<0.05) but not on Sabouraud agar (ANOVA p>0.05). CFU means on nutrient agar correlated with the average baseline plaque scores of the denture or with separate fitting/polished surfaces’ plaque scores (p<0.05). However, it didn’t correlate with candidal CFUs on Sabouraud dextrose agar (p>0.05) (Wilcoxon’s signed ranks test). The continuous 20 minutes cycles in protocol 1 only: G1 had samples collected after cont @ 20 min. While G 2,3,4 and 5 had the water changed in the last 5 minutes cycle. Comparing continuous with intermittent cycles , mean CFU at 20 minutes had higher means than mean CFU separated 5 minutes cycles in nutrient and Sabouraud agar (ANOVA, p<0,05). Comparing intermittent cycles, G1 had higher CFU counts than G2 and 3 on nutrient agar only (Tukey’s HSD, p<0.05) but not higher than G5. CFU means on nutrient agar correlated with the average baseline plaque scores of the denture or with separate fitting/polished surfaces’ plaque scores (p<0.05). However it didn’t correlate with candidal CFUs on Sabouraud dextrose agar (p>0.05) (Wilcoxon’s signed ranks test). The continuous 25 minutes cycles in protocol 1 only: G1 had samples collected after cont @ 25 min. While G2,3 and 4 had the water changed in the last 5 minutes cycle. There was no cycle at 25 minutes for G5. Comparing continuous with intermittent cycles, 25 minutes had higher Cumulative CFU counts (ANOVA, p<0,05) than separated 5 minutes cycles in Nutrient agar. It was not significant in Sabouraud agar CFU’s (Tukey’s HSD, p<0.05). CFU means on nutrient agar correlated with the average baseline plaque scores of the denture or with separate fitting/polished surfaces’ plaque scores (p<0.05). However, it didn’t correlate with candidal CFUs on Sabouraud dextrose agar (p>0.05) (Wilcoxon’s signed ranks test). The continuous 30 minutes cycles in protocols 1 only: G1 had samples collected after cont @ 30 min. G2,3 and 4 had the water changed in the last 5 minutes cycle. There was no cycle at 30 minutes for G5. Cumulative 30 minutes (protocol 1) had mean CFU reduced in both media so it was no longer significantly higher than other protocols (Tukey’s HSD, p>0.05). CFU means on both nutrient agar and Sabouraud dextrose agar didn’t correlate with the average baseline plaque scores of the denture nor with separate fitting/polished surfaces’ plaque scores. (Wilcoxon’s signed ranks test, p>0.05). Comparisons between G 3 and 5: The difference between these two protocols is having an intermediate soaking cycle between time point 10 and 15 minutes ultrasonications. There were significant differences between Sabouraud agar counts at 10 minutes, and Nutrient agar counts at minute 20. The soaking itself had not produced different effect on subsequent 15 minute cycle counts, on either media. Ultrasonic denture cleansing is not a common denture hygiene technique, due to insufficient professional and patient information. Ultrasonication alone would meet the criteria for an ideal denture cleanser set by the American College of Prosthodontists. It has an anti-biofilm activity reducing bacteria and fungi below the clinically relevant levels. Furthermore, its nontoxic, compatible with denture materials and would not modify (roughen) or degrade the denture material. It is also short acting (≤ eight hours), easy to be used, acceptable, with no after-taste, and finally, cost effective. A previous study found that the impact of ultrasonic cleaning on biofilm mass and composition is similar to cleaning dentures by brushing, and without the risk of brush abrasions (18). Institutional environments that provides care for physically or cognitively impaired persons would benefit from incorporation of this method into their care programs for this dependent group [29,30]. Multiple ultrasonication mechanisms congregate to reduce the microbial loads on dentures. Continuous ultrasonication of liquid baths has an immediate consequence of a temperature increase. This is accompanied by an increase in biochemical reaction rates, and then -if high enough- enzymes denature, enzymatic activity decreases and ultimately ceases, leading to irreversible changes in both, the cell structure and function, leading to cell membrane rupture . This may explain the reduction of free floating viable microbes in solution. Surface temperature rises around the denture-liquid interface could not be controlled or measured at micro-scale. For other biofilm structures, pellicle proteins dissociate from the membranes, and result in the dispersion of adherent micro-organisms into solution [32,33]. This is called the non-thermal mechanisms of ultrasonication . The effect of such disruption is what is expected to cause microbial shedding and increasing numbers of microbes in the fluid. These cumulative effects lead it to be a suitable mechanism for total microbial sampling to study the load of biofilm on denture surfaces. Sampling candidal counts and reducing their loads from dentures is more critical. These micro-organisms behave differently in the biofilm structure. They extend their presence from the surface of the denture by penetrating the whole thickness of denture base by thigmotropic hyphae [34,35]. These hyphae have the ability to re-infect the denture plaque and tissue, even after full antifungal treatments or denture cleansing or disinfecting the surface. This is because disinfectants did not penetrate into these deep layers and the viable candidal species were sampled in ultrasonication fluids after soaking in disinfectant solutions . Ultrasonication energy penetrates into micro-rough areas and work at sub-surface levels. Such effect was noticed with extended periods of sonication where a continuous shedding of viable candidal microbes was noticed even when sample solutions were changed every 5-minutes and visible plaque is no longer seen on dentures, so the source would most likely been from inside the denture. A 30 minute intermittent cycle reached a point where no further candidal counts were detected in the fluid. For cases with denture stomatitis, yeast quantification of mixed Candida spp., and non-albicans Candida using ultrasonication sampling produced better results. This was not possible when using conventional methods, such as swab or oral rinse sampling procedures . The aim of this comparative study was fulfilled. An Ultrasonication protocol was found, that met the need to be able to extend the diagnostic value of visible plaque scores and be reflected in the sampling counts of viable microbal and candidal numbers. A 10 minutes cumulative ultrasonication cycle of single denture in 200 ml water bath produced the best correlations of microbial and candidal counts, with plaque scores on the fitting and polished surfaces separately, and on the average plaque score for the whole denture. Cumulative 15 and 20 minutes had higher numbers of CFU counts. Together with the 5 minutes cycle, they correlated with the average plaque scores. However, their ability to correlate candidal counts to the clinical scores was not possible. Continuous cycles of 15 to 20 minutes followed by intermittent cycles up to 30 minutes were sufficient to reach a point where no more viable microbial and candidal counts could be detected in the ultrasonication fluid. It promotes it as an adjunct disinfection protocol for long standing denture plaque-biofilm. Further research is needed to combine different disinfectant fluids with the ultrasonication energy, test the results for larger sample numbers, and survey denture wearers and caregivers for their satisfaction using such method. These results relate to researchers and caregivers in many applicable ways. For research sampling procedures, the 10 minutes cycle is recommended as it has the potential to diagnose the pathogenic risk of denture plaque. Ultrasonication energy, on its own produced, a reduction in microbial and candidal loads of the surrounding media, and would be expected to extend that effect to any biofilm residing in micro-porosities of the dentures’ material. SEM images of hyphenated cultures are further needed. Ultrasonication cycles are convenient to be used by patients them-selves and/or their care givers as they require minimal experience and can be applied in various settings. Dentures of different subjects are not to be mixed in ultrasonication baths as it would pose a risk of cross contamination. To make it practical, different glass jars or beakers, labeled for the same subject, may be used for frequent denture cleansing in large numbers in elderly residencies. Soaking dentures in water contaminated it. Therefore, the soaking fluid should not be used repeatedly and should be discarded after each use. The cleansing effect of the ultrasonication baths extended beyond the point where visible plaque disappeared (around 15 minutes), thus for deep cleansing purposes, a 30 minute cycle is recommended. Changing water intermittently between short cycles have produced zero cultures at 30 minutes. Dentists, caring for the edentulous patients, could extend the benefit of their annual recalls by applying a pre-treatment sonication cycle (up to 30 minutes). This would reduce the risk of clinical cross-contamination as well as being an extra deep-cleansing service for the dentures that have long-standing plaque accumulations. Nikawa H, Hamada T, Yamamoto T (1998) Denture plaque--past and recent concerns. J Dent 26: 299-304. Nikawa H, Yamamoto T, Hamada T, Rahardjo MB, Murata H (1995) Commercial denture cleansers--cleansing efficacy against Candida albicans biofilm and compatibility with soft denture-lining materials. Int J Prosthodont 8: 434-444. Lima EM, Moura JS, Bel Cury AA, Garcia RC, Cury JA (2006) Effect of enzymatic and NaOCl treatments on acrylic roughness and on biofilm accumulation. J Oral Rehabil 33: 356-362. Sugimoto J, Kanehira T, Mizugai H, Chiba I, Morita M (2006) Relationship between salivary histatin 5 levels and Candida CFU counts in healthy elderly. Gerodontology 23: 164-169. Emami E, Séguin J, Rompre PH, de Koninck L, de Grandmont P, et al. (2007) The relationship of myceliated colonies of Candida albicans with denture stomatitis: an in vivo/in vitro study. Int J Prosthodont 20: 514-520. Frank RM, Steuer P (1985) Transmission electron microscopy of plaque accumulations in denture stomatitis. J Prosthet Dent 53: 115-124. Axe AS, Varghese R, Bosma M, Kitson N, Bradshaw DJ (2016) Dental health professional recommendation and consumer habits in denture cleansing. J Prosthet Dent 115: 183-188. Felton D, Cooper L, Duqum I, Minsley G, Guckes A, et al. (2011) Evidence-based guidelines for the care and maintenance of complete dentures: a publication of the American College of Prosthodontists. J Am Dent Assoc 1: 1-20. Leighton TG (2007) What is ultrasound? Prog Biophys Mol Biol 93: 3-83. Suslick KS (1998) Kirk-Othmer Encyclopedia of Chemical Technology. 4thedn, John Wiley and Sons, Hoboken, New Jersey, United States. Pg No: 516-541. Hesselgren SG, Dahl GM, Nedlich U (1974) Disinfection and cleaning of removable dentures by means of ultrasonics. Tandlakartidningen 66: 768-773. Raab FJ, Taylor CA, Bucher JA, Mann BL (1991) Scanning electron microscopic examination of ultrasonic and effervescent methods of surface contaminant removal from complete dentures. J Prosthet Dent 65: 255-258. Pavarina AC, Pizzolitto AC, Machado AL, Vergani CE, Giampaolo ET (2003) An infection control protocol: effectiveness of immersion solutions to reduce the microbial growth on dental prostheses. J Oral Rehabil 30: 532-536. Wu G, Yu X, Gu Z (2008) Ultrasonically nebulised electrolysed oxidising water: a promising new infection control programme for impressions, metals and gypsum casts used in dental hospitals. J Hosp Infect 68: 348-354. Glass RT, Conrad RS, Bullard JW, Goodson LB, Mehta N, et al. (2011) Evaluation of cleansing methods for previously worn prostheses. Compend Contin Educ Dent 32: 68-73. Peri? M, Radunovi? M, Pekmezovi? M, Marinkovi? J, Živkovi? R, et al. (2017) Laboratory-Based Investigation of Denture Sonication Method in Patients with Candida-Associated Denture Stomatitis. J Prosthodont [Epub ahead of print]. 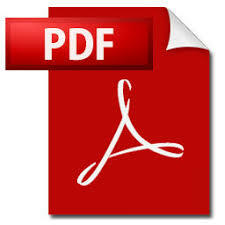 Jeganathan S, Thean HP, Thong KT, Chan YC, Singh M (1996) A clinically viable index for quantifying denture plaque. Quintessence Int 27: 569-573. Duyck J, Vandamme K, Krausch-Hofmann S, Boon L, De Keersmaecker K, et al. (2016) Impact of Denture Cleaning Method and Overnight Storage Condition on Denture Biofilm Mass and Composition: A Cross-Over Randomized Clinical Trial. PLoS One 11: 0145837. Ambjørnsen E, Valderhaug J, Norheim PW, Fløystrand F (1982) Assessment of an additive index for plaque accumulation on complete maxillary dentures. Acta Odontol Scand 40: 203-208. Paranhos HF, Silva-Lovato CH, Souza RF, Cruz PC, Freitas KM, et al. (2007) Effects of mechanical and chemical methods on denture biofilm accumulation. J Oral Rehabil 34: 606-612. Cruz PC, Andrade IM, Peracini A, Souza-Gugelmin MC, Silva-Lovato CH, et al. 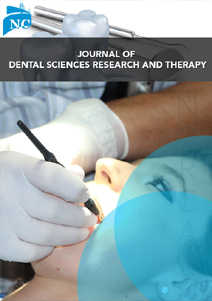 (2011) The effectiveness of chemical denture cleansers and ultrasonic device in biofilm removal from complete dentures. J Appl Oral Sci 19: 668-673. Souza RF, Regis RR, Nascimento C, Paranhos HF, Silva CH (2010) Domestic use of a disclosing solution for denture hygiene: a randomised trial. Gerodontology 27: 193-198. Reyes Silveyra, Lupita Jocelin (2012) Investigations on automated methods for dental plaque detection. Ph.D. thesis, University of Birmingham, Birmingham, UK. Augsburger RH, Elahi JM (1982) Evaluation of seven proprietary denture cleansers. J Prosthet Dent 47: 356-359. Almas K, Salameh Z, Kutkut A, Al Doubali A (2015) A Simplified Technique to Measure Plaque on the Intaglio Surfaces of Complete Dentures. J Int Acad Periodontol 17: 58-64. Hoad-Reddick G, Grant AA, Griffiths CS (1990) Investigation into the cleanliness of dentures in an elderly population. J Prosthet Dent 64: 48-52.
de Souza RF, Khiyani MF, Chaves CAL, Feine J, Barbeau J, et al. (2017) Improving practice guidelines for the treatment of denture-related erythematous stomatitis: a study protocol for a randomized controlled trial. Trials 18: 211. Nishi Y, Seto K, Kamashita Y, Kaji A, Kurono A, et al. (2014) Survival of microorganisms on complete dentures following ultrasonic cleaning combined with immersion in peroxide-based cleanser solution. Gerodontology 31: 202-209. Kawasaki K, Kamikawa Y, Sugihara K (2016) In vitro and in vivo removal of oral Candida from the denture base. Gerodontology 33: 247-252. O’Brien WD Jr (2007) Ultrasound-biophysics mechanisms. Prog Biophys Mol Biol 93: 212-255. Kobayashi N, Bauer TW, Tuohy MJ, Fujishiro T, Procop GW (2007) Brief ultrasonication improves detection of biofilm-formative bacteria around a metal implant. Clin Orthop Relat Res 457: 210-213. Monsen T, Lövgren E, Widerström M, Wallinder L (2009) In Vitro Effect of Ultrasound on Bacteria and Suggested Protocol for Sonication and Diagnosis of Prosthetic Infections. J Clin Microbiol 47: 2496-2501. Lefebvre CA, Wataha JC, Cibirka RM, Schuster GS, Parr GR (2001) Effects of triclosan on the cytotoxicity and fungal growth on a soft denture liner. J Prosthet Dent 85: 352-356. Kim E, Driscoll CF, Minah GE (2003) The effect of a denture adhesive on the colonization of Candida species in vivo. J Prosthodont 12: 187-191. Walter B, Frank RM, Steuer P (1986) Ultrastructural development of dated plaque in case of denture stomatitis. J Biol Buccale 14: 115-124.